Not everyone who studies abroad loves it. It’s a fact of life that as much as you might think it will be the best experience of your life, it might be really underwhelming, even disappointing. My first study abroad experience in Seoul, South Korea was ab-so-fricking-lutely amazing. I had so much fun at night on the weekends, ate good food, made friends for life, and came back a completely changed person (more confident, more independent, more in love…). My second semester abroad was in Florence, Italy. I cherish my experience and came back a bit more mature, a bit more jaded, and a bit less in love. Everyone kept asking me to compare my two experiences and the truth is, I feel madly in love with one experience and had a pleasant time with the other. They were completely different and hard to compare, but if I had to, I would say I loved one more. The reason? There were several. My second study abroad was not thought through, it wasn’t a decision I made with only myself in mind, it was a place I chose to go to out of necessity for the classes it offered, not because I was interested in the language or culture. Since I’ve had both LIFE CHANGING and ‘good’ experiences abroad, I thought I would share some things that I think you should consider when crafting your ‘perfect’ study abroad experience. 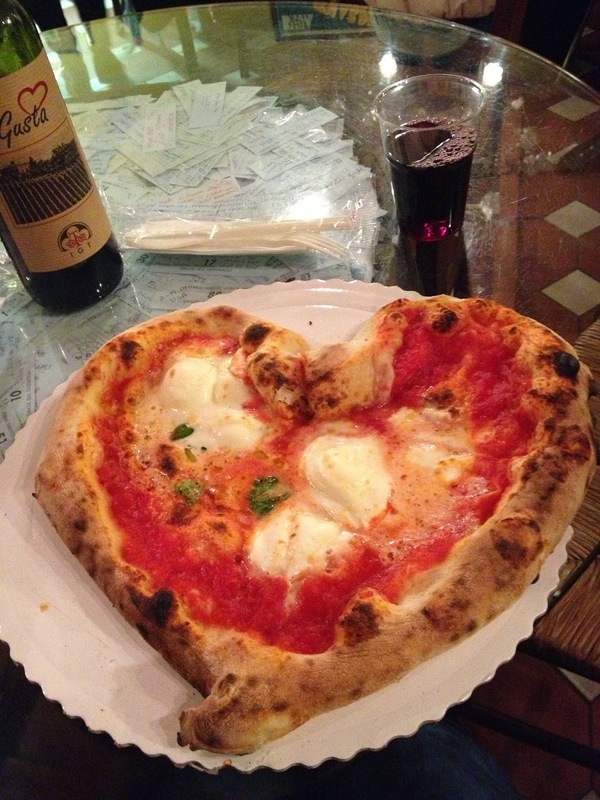 Valentine's Day in Verona, Italy. How romantic! 1. Length Studying abroad for a summer or January term class will give you a different experience than a semester-long trip, which is different than a year-long trip. A month abroad is enough to get to know a place, to get a taste for it, to be comfortable in it, but might not be enough for you to really ever feel like you’re living like a local. Many of those classes also keep you grouped with other students from your school, so you get less of a chance to meet others. A semester gives you that opportunity to ‘be’ a local and make friends with locals because you spend roughly four months living in the same place. Spend a year abroad and you will for sure feel like the place is forever a second home. You might not love your experience or the town/city/village you live in, but you’ll find that you get to know it so well that it becomes a part of you. You might also get really homesick or bored being away from home for so long. Duration of your stay abroad makes a huge difference in your experience. 2. Purpose In order to have that OMGTHATWASAMAZING, NEVERGONNALEAVE feeling while studying abroad, it is important that you are going for the right reasons. Figure out your purpose for going abroad and make decisions accordingly. Want to become fluent in Spanish? Don’t go to Barcelona or Brazil (get edu-ma-cated, people! ), consider a less touristy area so that you are FORCED to speak the language, choose a less popular destination so that you aren’t solely surrounded by other English-speaking students. Find your reason for being abroad, make sure it’s your OWN reason and that you’re not going to satisfy mom/dad, your best friend who is dragging you along, a boyfriend/girlfriend who wants you to go, too. I have made the mistake of going abroad with other people in mind, and I have friends who have done the same, and we had really great times but never fell madly in love with the country. If you're living in the city center of Florence, where most exchange students live, you won't see much green. The photo above is one of the most green sights you will see from the center. If you CANNOT live without tons of nature around you (I'm from the Pacific Northwest so I can relate), choose your location accordingly! 3. Location DO NOT, I repeat, DO NOT make this decision lightly. They say “location, location, location” for a reason, people! I promise you, location will make or break your study abroad experience. Figure out if you want a big city, small city, town, village, countryside, etc. Do you want to be in a touristy area that is really diverse and where everyone will speak English to you, or perhaps a lesser known/smaller area where you will be required to speak their language? Do you want to go hiking or explore the rain forest regularly or are you fine with being far from nature? Do you want to be in a country that has easy access to other countries so you can travel a lot, or do you want to spend your time in one country, exploring its different parts? Are you ok with a high cost of living (which may hinder your ability to go out as often or travel as much) or do you want to go to a country where the dollar goes farther? Do you require reliable electricity and hot showers or could you survive in a smaller village where those might not be available to you? I didn’t do my research on Florence (or Seoul, for that matter) and was surprised that it was almost exclusively tourists in the city center itself, which is where most of us lived. It was great because I didn’t speak Italian, but it was a problem when it came to getting an authentic Italian experience. Also, Florence was way too small for me. I love HUGE cities like Seoul, NYC, Rome, Paris, Barcelona. Figure out what you want, research the foods, customs, languages spoken, size, climate, etc. online (read people’s blog posts, there are tons of people writing about their time abroad). Watch travel videos and shows! Seriously! I’m giving you homework to watch TV! Try anything Anthony Bourdain, “An Idiot Abroad”, or Samantha Brown’s “Passport to Europe”. They don’t show what studying there will be like, but they show you what it looks like and about their culture. If you want to be in Asia, you have to know the differences between each country, because they are HUGE. If you want to be in Europe, being surrounded by the French will not be similar to being surrounded by Italians (trust me). KNOW BEFORE YOU GO, and you will be SO much happier, promise. 5. Popularity Some places are super popular study abroad/tourist destinations. London, Florence, Barcelona, Paris. Some are less popular. Some are really popular primarily among Americans, some are popular with Europeans. If you want to be surrounded by lots of international students from around the world, or if you want to be surrounded by lots of other Americans, OR if you don’t want to be surrounded by other foreigners at all, choose accordingly. Florence is all Americans. Seoul had a lot of Europeans. To put it simply. 6. Alone vs. With a Friend/BF/GF I have a thing against people who study abroad in the same place as their BF/GF. When you’re young, it is important to have your own experiences, be independent, choose for yourself. If you break up with your boo-boo-baby, would you still want to go where you’re going alone? Would your memories of your time be ruined if you broke up? Would your relationship survive four months apart and if not, why? Ok, I will stop playing therapist now. Just consider it, PLEASE. Going with a friend is different, though. My time abroad was made better by having a friend with me because I am shy and slow to make new friends and, only having four months abroad, I didn’t want to spend half of it just finding people I clicked with. IF you are a person who is slow to make friends and have trouble with it, it CAN be an issue when you’re thrown into situations like these. It’s much easier to make friends abroad, everyone is so open to meeting new people, but if you have a friend who wants to go where you do and you’re worried about going alone, go with a friend! Just make sure to branch out once you get there, meet new people, and develop some memories on your own. If you have any thoughts on this post or thoughts on studying abroad, let me know in the comments! Add some of your own tips if you have them! Study Abroad Series: 2. Think you can't study abroad? Think again! I had never really considered studying abroad before college because it was something that just seemed too expensive. I never thought I would be able to afford it, but two semesters abroad later, I am so glad that I didn’t write it off before looking into it. Here are some common roadblocks to studying abroad and why they may be easier to overcome than you think! If you think you can’t study abroad, think again! Studying abroad can be expensive, without a doubt. There are many costs to consider: the flight, traveling during your time abroad, factoring in that you will be going out more than usual, etc. But studying abroad doesn’t have to be expensive. In fact, it could even be less than your normal tuition. For me to study abroad, I continue paying my school’s normal tuition rates, as if I were taking classes at my university, and they apply that tuition towards my education abroad. However, a lot of universities and study abroad institutions have their own rates, and if you apply to them directly, you might actually be paying LESS than your normal semester tuition, so that is something to look into on your own time if your university doesn’t provide that information for you (and why would they? They want to make money, too!). In terms of day to day costs, you don’t have to pay more than you would at home. If you choose London or Paris, you will be paying an arm and a leg to go out and, if you’re on a tight budget, won’t have much money left over to travel. But you can choose a city where you’re dollar will go further (some areas of South America and Southeast Asia, for example). That way, you still get the full study abroad experience and have money for restaurants and activities with friends, but you won’t be breaking the bank. In fact, depending on where you live now, you could even be saving money! For paying for the flight costs, look to scholarships and programs that provide free airfare. My university provides free airfare for two study abroad locations (Prague being one of them, which is a super popular trip destination in Europe for study abroad students and also really cheap!). Airfare can be one of the biggest expenses for studying abroad, so look to see if your university offers free airfare for any programs. Also, try looking for scholarships. I applied to one through not through my school, but through the study abroad agency itself and got $1000 that I put towards airfare. It was a HUGE help! 2. I’m afraid I won’t graduate on time! That’s a legitimate fear, and unfortunately, if you’re at the point where you realize you can’t graduate on time and also study abroad, there isn’t much to be done. However, if you are in your first or second year and fear that going abroad will stop you from graduating on time, do some research first! My school’s global education website shows a list of classes that the overseas schools offer and what they translate over to. I thought I wouldn’t be able to study abroad the second time, but the ONE class I needed for my major happened to be offered in Florence, Italy. I never would have considered studying there, but it had the class I needed and I wanted to go abroad! As soon as you become interested in studying abroad, set up appointments with your academic advisor and a study abroad advisor. Ask them what classes you would need to take and when and if studying abroad is a possibility. Make sure you will get into the classes you will need, though. If they are super competitive to get into and you go abroad one semester hoping to get the class the next semester, it could be a pretty risky situation. ASK YOUR ADVISORS. They are free, they are knowledgeable, and they have helped countless students do this. They are your best resource if you need help. 3. I won’t be able to find the classes I need! I mentioned this already, but I found the classes I needed to be able to spend two semesters abroad in two different countries, and I’m a film studies major so it’s not exactly common for me to find the classes I need abroad. It was hard but after a lot of research, I found what I needed. If you’re a business major, there are tons of schools that are accredited worldwide for you to choose from. Take international accounting or marketing abroad! If you still need them, it’s the perfect time to take GE’s (general education requirements like art, science, English, social studies, etc.). The earlier on you study abroad, the more GE’s you will have left, and it’s easiest to find classes to take when you just need to take GE’s. So another piece of advice for people with majors that are harder to find classes for is to study abroad early (like sophomore year). 4. I have never been away from home/I am too afraid to go to a foreign country! I go to school out of state and when my family left me in California, I bawled for days. I was not adventurous by any means at 18 years old. But it was the best thing that I could have done for myself because now, at 21, I have been all around the world by myself and I don’t plan on stopping anytime soon. It is scary, but if you’re like me, you will always have this nagging feeling of needing to see the world, and it won’t go away until it is satisfied. Will you have the time of your life and never want to go home and fall in love and become a pop star like Lizzie McGuire? No. You might hate it. But your other option is to always wonder what it would have been like, and that’s no way to live at all! More practically, it helps to go abroad with someone you know. My first semester abroad in Seoul, South Korea was with one of my best friends from college. We had an amazing time together and it made adjusting a lot easier. The second time, I knew no one. Even if you don’t have a friend that wants to go abroad with you, or to the same place, you can still meet people! Join the study abroad groups for the semester/year/city you are participating in, and if your university or program has a page, join that too. If your school doesn’t already organize meet ups, reach out to the others studying abroad in the same place as you and have a couple get-togethers beforehand. That way, you can coordinate flights, arrange to meet up at the airport, have a familiar face, ask them questions, etc. Just remember, studying abroad is like your freshman year of college. Everyone is new, nobody knows each other, and everyone wants to make friends. People who travel are usually friendlier than the average person because they are open to new experiences and people (I swear it is true!). Make sure to put yourself out there from Day 1, meet people to explore the city, for drinks, for dinner, for lunch, for clubbing. People form groups fast, so it is really important to meet as many people as possible in that first week! 5. My parents won’t let me! This one is hard, because I had such supportive parents. But, not everyone was as lucky as I was and they had to take some time to convince their parents. Usually parents are scared that you will be unsafe, or that you will go too crazy abroad, or they’re afraid of cost. Refer back to my first point for cost worries, do your OWN research, and impress them with it. If you’re parents are scared for your safety or that you will be a devil child while abroad, perhaps choosing the ‘right’ location would help ease their minds. Find somewhere safe to study (hint: don’t go to Thailand right now. Or Egypt. ), present them with the facts and go from there. Or if they don’t want you to be on a booze cruise the whole time, try picking a smaller city or even a village if you’re into that. If you’re studying Spanish and want to go to Peru or studying art history and want to go to Florence or Paris, sell that point to them. Choose a location based on your academic interests and tell them why it would be such an invaluable experience. I also had some friends whose parents wouldn’t let them do a semester abroad so they compromised on a summer or interterm (January session, if you have it) course abroad. They were with other students from my university plus the professor the entire time, got a few credits out of it, it didn’t put them back for graduation, and their parents could handle the four weeks apart (barely). If that doesn’t work, tell them how important it is to have international experience these days (Michelle Obama agrees with me on this!). You could try to get an internship abroad, too. I hope some of these suggestions helped to make studying abroad seem more feasible for you. If you have any other roadblocks you’d like help with, leave a comment below and I’ll get back to you! Study Abroad Series: 1. Why the answer to "Should I study abroad?" is always "Yes!" Not everyone wants to study abroad. A lot of people don’t ever even consider it. So, first things first, this post is my answer to the simple question: Why should I study abroad? Not only does studying abroad look great on a resume (Michelle Obama agrees with me on this! ), but it is a once in a lifetime experience. Now, I say this with a grain of salt because I myself studied abroad twice, which is rare at my school but perhaps not at yours. And not studying abroad in college doesn’t necessarily mean you will never get to study abroad again, and definitely doesn’t mean you will never get to work or live abroad on your own. 1. Traveling somewhere is one thing, living there is another. I didn't travel much growing up. I think I had been on a plane around four times in the first 15 years of my life, and never internationally. It all changed when I was selected as an exchange participant through my town's Sister City program and got to spend a month of my summer living with a family in Taiwan. Since then, I've been to China, Korea, Thailand, and various countries throughout Europe, all in the past 6 years. What I learned from those experiences is that there is a huge difference between traveling to a country and living in a country. And that's why I am writing this article. You might have the chance to travel the world but I promise you that being a tourist and being a resident, even if only for four months, yield entirely different experiences. Living in a foreign city means you get to know the area really well. You see the beautiful backstreets that you wouldn't typically see as a tourist! 2. Studying abroad might be better than working abroad. Waiting to graduate from college and hoping to work in another country to get your ‘abroad experience’ is not a bad idea by any means. In fact, I plan to move abroad after I finish up my last year of college. But working abroad and studying abroad are two different ball games. While this isn’t true for every academic institution, in general, study abroad programs tend to be a bit easier than your typical home institution coursework. In Korea, where academics are taken really seriously, I was both integrated into normal university classes as well as enrolled in courses specifically for exchange students. In Italy, I took classes at an institution that was designed specifically for study abroad students. In both cases, although in different ways, my semesters abroad were less intense than my semesters at my home university. For this reason, studying abroad allows you more time to travel, to explore the town or city you live in, to meet up with friends, to have fun. You have fall break, or spring break, and you are surrounded by other students who want to go out drinking and traveling, too. When you move abroad to work, a lot of those things disappear. Also, college is one of the easiest times to get to experience living like a local in a foreign country. You have the support of your school, it's easier to get a student visa than a work visa, and you have a built in social circuit in your fellow classmates. Plus, you likely don't have to/can't worry about working while abroad so you have much more time to travel and enjoy the country. Just something to consider before you decide to save “living abroad” until later in life. Studying abroad also means great new food! If you can't tell already, I have strong bias on this matter. If you're considering studying abroad, my advice to you is to do it. Will everyone enjoy studying abroad? No. But will you learn something that you would never have the chance to by staying at home? Yes. Without a doubt. The choice is up to you, but just remember that being a student learner living in a foreign country is something different from other abroad experiences. A lot of the hesitations that people have about studying abroad are also solvable/avoidable, so don’t let one road block (cost, fear of being away from home, language barrier) deter you. If you think you can’t study abroad but want to, read my next post. I’ll try to address some of people’s greatest hesitations about studying abroad. P.S. If you have any hesitations about studying abroad that you want addressed in my next post, leave a comment below and I’ll try to help! It's no secret that I'm a compulsive traveler. I was lucky enough to have studied abroad not once, but TWICE, in college. My first study abroad was in Seoul, South Korea in 2013. The following year, this year, I got to go abroad again. This time to Florence, Italy. I had traveled quite a bit before throughout Asia, but this was my first time setting foot in Europe. I was warned that my study abroad experience in Florence would be nothing like my time spent in Seoul. I took the heads up, packed my one large suitcase, and boarded a flight to Italy on my own. I was scared, I didn't know a single person in Florence and I wasn't completely confident in my ability to meet people and make friends. My first time abroad I went with my best friend. Sure, we made friends, I even met my ex-boyfriend there, but I always knew that I had someone there who I knew, and who knew me, to go through everything with me. The culture shock, making new friends, navigating a new city. I always had a sidekick. 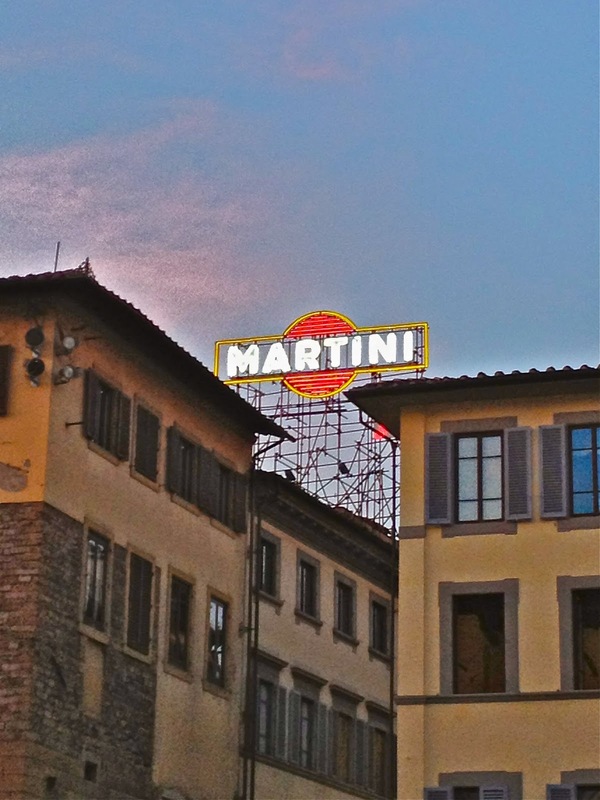 When I arrived in Florence, I was more than just a little nervous. I had a full on panic attack the first couple days, doubting whether my housemates and I would get along, wondering what I had gotten myself into. I had the same meltdown my first night in Seoul. It's normal, it's natural, but that doesn't mean it's not still nerve-wracking. After seven months apart, my then boyfriend flew in from France to see me my second weekend there. I thought it would be a huge comfort, but in the end it really just made me extremely homesick after he left. I had gotten to spend the weekend with a familiar face when I was still fresh in Florence, and his departure felt like I was starting from scratch in Florence. View of Florence from 'up the hill'. Florence is much prettier from above. The first month or so was a bit painful for me. I hadn't found anyone I truly clicked with, and since I only had a semester there, I was afraid that I would go through my whole semester without having made any true friends. Everyone was solidifying their friend groups and booking their trips for the whole semester, and I felt a bit....lonely. But a few weeks before spring break, I met someone in one of my classes who would eventually become my favorite travel partner. Right after spring break, I met a couple more girls who I spent almost every night out with. What began as a sort of bleak experience blossomed into a seriously self-affirming one. I did something I thought I was incapable of. I went to a foreign country alone and came out of it with some of the best experiences and people who I know will be lifelong friends. I miss Florence. But not in the way you'd think. While I loved my time abroad, Florence never became my city. It never felt like a second home and it isn't a place that I feel I will find my way back to. And yet, I have such a strong connection to the city. It taught me how to be a good traveler and that I can make friends. It taught me that it is possible to escape home and find yourself in an even more ill-fitted place. It taught me that having a good experience isn't about loving where you are, but about learning something about yourself. I learned a lot about myself in those four months, and for that, I will always love Florence. 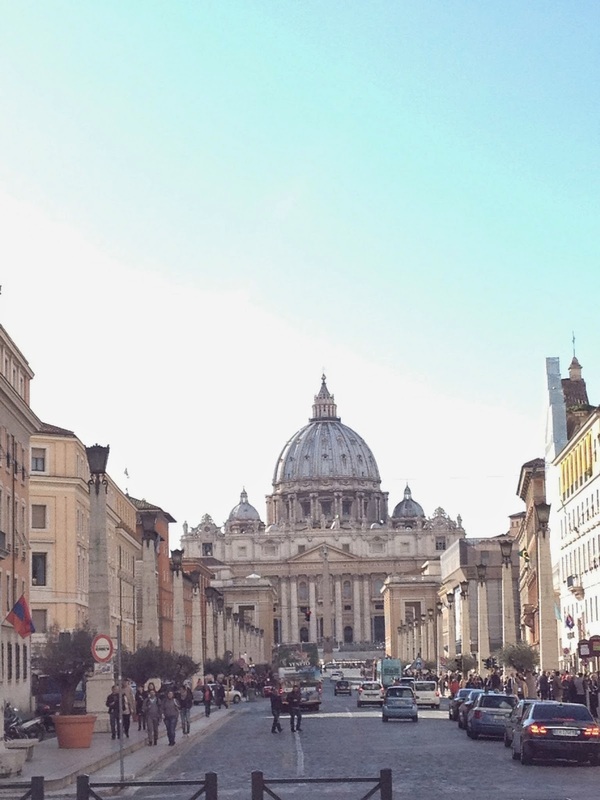 Sound Off: Have any of you studied abroad? Lived abroad? From another country? I'm planning on moving out of the U.S. after I graduate from college and would love to hear about any of your stories. Maybe you'll inspire me to move to your favorite country! Let me know in the comments below.